When you stay at Comfort Suites Bay City in Bay City, you’ll be within a 10-minute drive of Matagorda County Museum and Bay City Municipal Court. 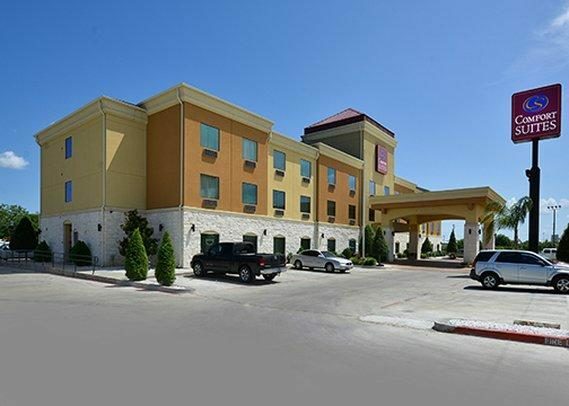 This hotel is 7.5 mi (12.1 km) from Le Tulle Park and 7.5 mi (12.1 km) from Matagorda County Birding and Nature Center. Make yourself at home in one of the 68 air-conditioned rooms featuring refrigerators and microwaves. Wired and wireless Internet access is complimentary, while 40-inch plasma televisions with cable programming provide entertainment. Conveniences include phones, as well as desks and coffee/tea makers.